Last Saturday, I was booked for domestic violence. 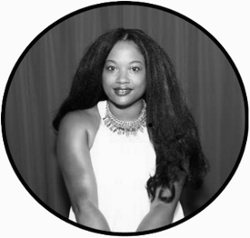 I was taken into police custody, fingerprinted and left with an internal scar from my actions. Luckily, this was all fiction (domestic violence is NOT to be taken lightly). You can put your heart back into your chest now. Upon entering the building, we quickly felt the authenticity of the environment. The line was roped off with a handcuff chain, the music resembled that of a mobster movie and crime scene tape adorned the windows. Excitement filled the air immediately. **NOTE: Flash photography is NOT allowed in the museum. It may interfere with the infrared technology. So, my pictures are not the best quality. I was completely absorbed in every exhibit. I read nearly every sign that accommodated each display and immersed myself into that era. A few times I began to feel a spooked. It was weird to think that all of these events occurred in our history and there was ample evidence to support it. I'm not ashamed to admit that most of my information on mobsters comes from rap songs. For some odd reason, rappers like to align themselves with the likes of well-known bad boys (and girls) in an effort to generate the cool factor. I actually had an epiphany at the museum when I saw the name of a mobster named Benjamin "Bugsy" Siegel. I realized rapper Beanie Siegel had taken on his name. Of course Ian shook his head as I had my moment. Hey, cut me some slack. I'm more of a pop princess. These artists usually use their names given to them at birth. 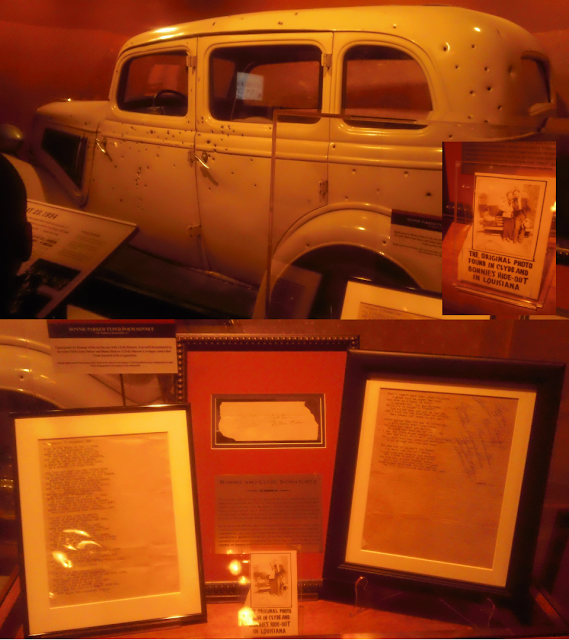 Of course we're all familiar with the infamous duo dubbed, Bonnie & Clyde. I spent a great deal of time at this exhibit, noting all the facts, pictures and memorabilia. Room by room, we stopped and stared. 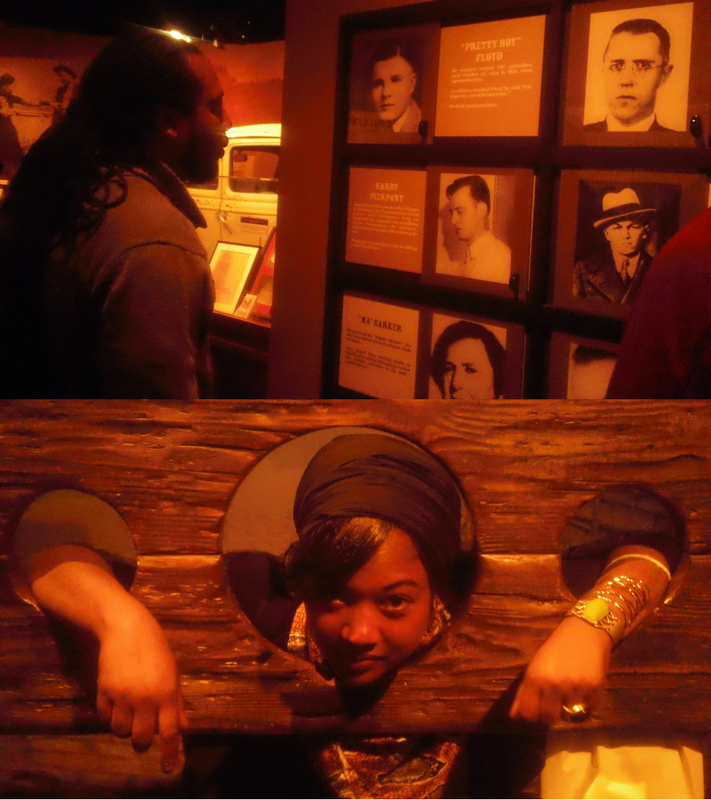 The National Museum of Crime & Punishment continued to excite me. An original note with instructions on how to deliver ransom. The handcuffs used on serial killer, Jefferey Dahmer. Visiting a museum is always a great opportunity to create a teachable moment. I loved seeing Kaden reading all the facts, interacting with some of the items and asking questions. I told him numerous times that the events that we were reading about were no laughing matter. It was my goal to "scare" him a bit. I'm not worried about my little guy though. He's way too smart to even consider any of the bold actions we discovered in the museum. ...and Ian was smart enough to know that taking a lie detector test, with me asking the questions, wasn't such a great idea, either. LOL!! 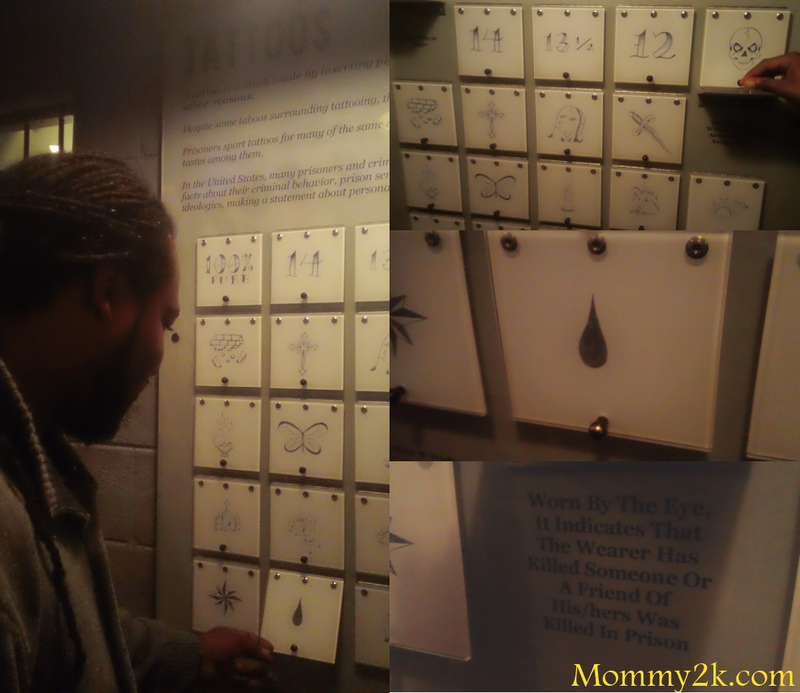 As soon as we saw the prison tattoo section, my immediate response was, "Lil' Wayne has all of these!" A part of me believes this is actually a true statement. We continued along and stopped at the "execution" room. Who knew there were so many ways to punish criminals? Reading some of the methods from back in the day made me think the criminals of today have it pretty easy. I never expected to be overcome with emotion while walking through the museum. I was a bit taken aback by all the feelings and thoughts that were running through my head. I felt saddened when I approached the display of items found in a shed from Unabomber, Ted Kaczynski. My heart melted a bit. By the time we reached the bottom level, I was exhausted...in an emotional way. As we walked down the stairs leading to the 'America's Most Wanted' area, I stared in amazement at all of the mugshots lining the wall. 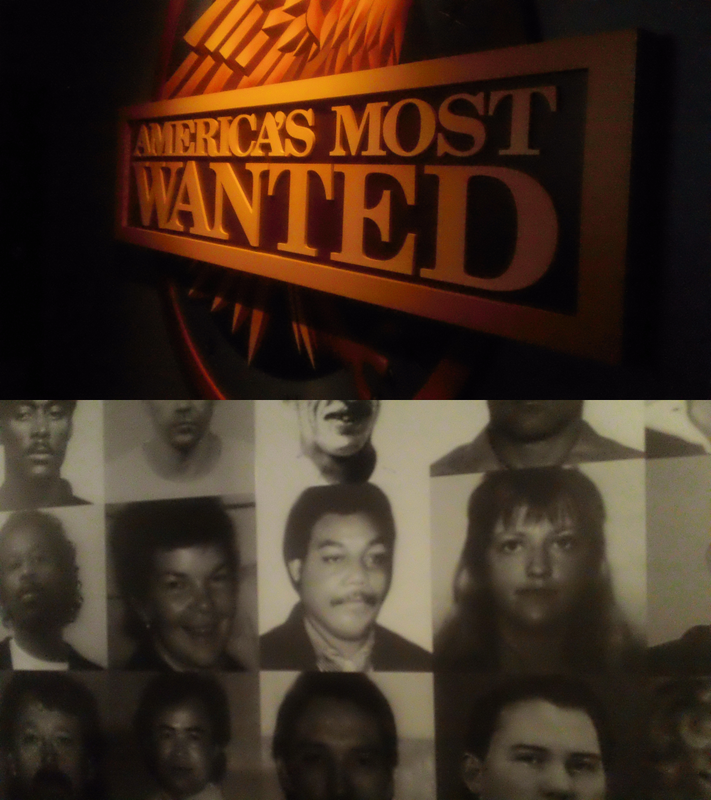 I bet not many people know that the Crime Museum is used to film the show, America's Most Wanted. There is a live set. I could go on and on for days about this wonderful museum. After visiting, I'm left wondering what took me so long to visit in the first place. I must go back. There is so much that I didn't get a chance to explore. I would allow a couple of hours to fully indulge in the experience this museum provides. I would like to add that the Crime Museum is family-friendly, but not all ages will "get" it. A lot of the information is obtained through reading even though there are a lot of visual elements. My son is 10 years old and he was able to appreciate and understand the Crime Museum. You will have to use your own discretion to determine if this activity is appropriate for your family. 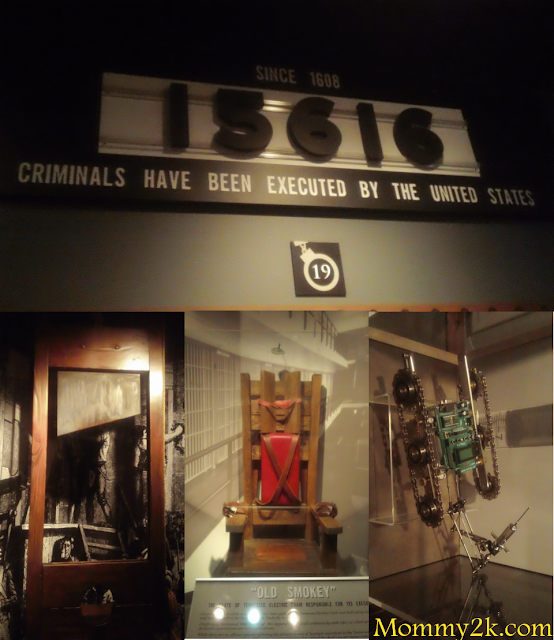 Important information including ticket information, hours, directions and more can be found under the VISIT MUSEUM tab on the website of the National Museum of Crime & Punishment. If you are ever in the city, make sure you add this to your list of "to-dos". 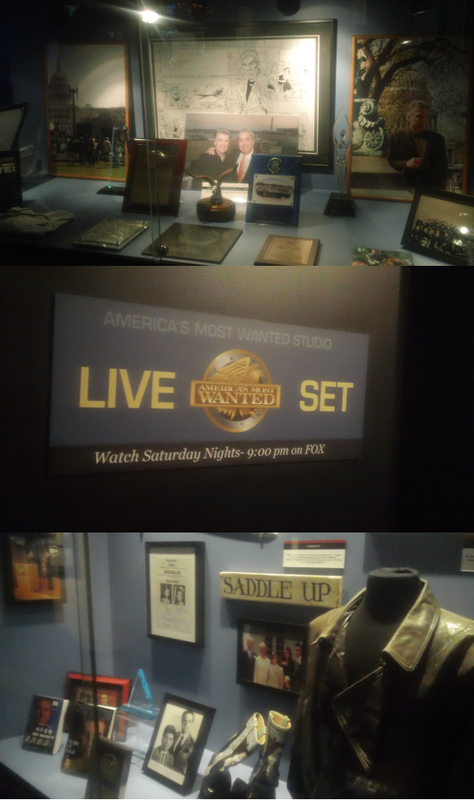 My family and I were provided complimentary tickets to attend the Crime Museum. The opinions and views are my own.